A medium size hawkfish that gets about 3 inches or so. 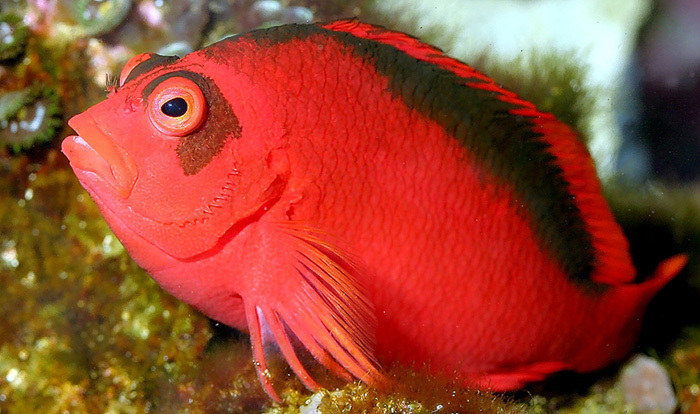 Like all hawkfish, they like to sit on rocks and corals waiting for food to come by. They can’t be kept with very aggressive fish otherwise they might not get any food. They may eat small shrimp and invertebrates.